Една велика планина се оглежда във водите на язовир Кричим. 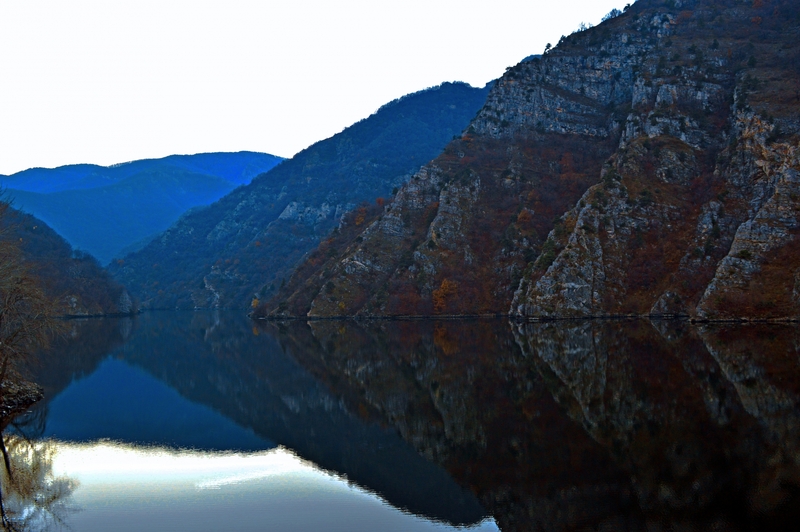 Vaska Grudeva Krichim Dam is a dam under construction on the Vacha River, Bulgaria. It is part of the Vacha Cascade Joint Implementation Project involving three more dams and four power stations. The three existing dams on the Vacha River are the Vacha Dam, Tsankov Dam, and the Kamak Dam. The 105 metres (344 ft) concrete dam with 80 MW power plant, was in its implementation stage as of 2011.